3338b, Used Rims, 16x7, 8 LUG 170MM, 99-05, Ford, F250, SD, Excursion BRIGHT FINISH, 8 ROUND HOLES ALUM. 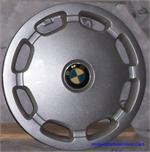 335, Hubcap used, 15", 69, CHRYSLER, 8 HOLE TYPE, EXCEPT 300. 520c,Hubcap used,14", 97-99, DODGE, NEON, 8 LARGE HOLES, WHITE WITH BLACK LUGS. 63690, Used Rims, 14X5-1/2, 4 LUG, 100mm, 88-91, HONDA, PRELUDE, 8 HOLE, STEEL.